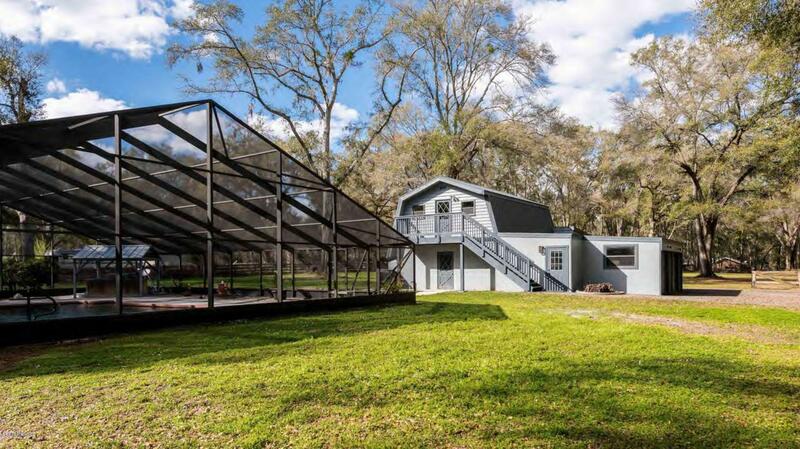 COUNTRY POOL HOME ON 2.5 ACRES IN GREAT SOUTH OCALA AREA. This inviting property has the best of many worlds. Features a roomy 4-bedroom, 3-bath home with neat eat-in kitchen, dining room, living room with fireplace, family room, 2-car garage, screened in patio, in-ground pool and hot tub for entertaining, large shop with room for 4 cars and bonus room/game room/man cave, all on 2.5 acres of beautiful fenced property. Irrigated yard, scattered trees, landscaping, paved drive, metal roofs on house and shop, 2 new A/C units, whole house generator with 1,000 gal. 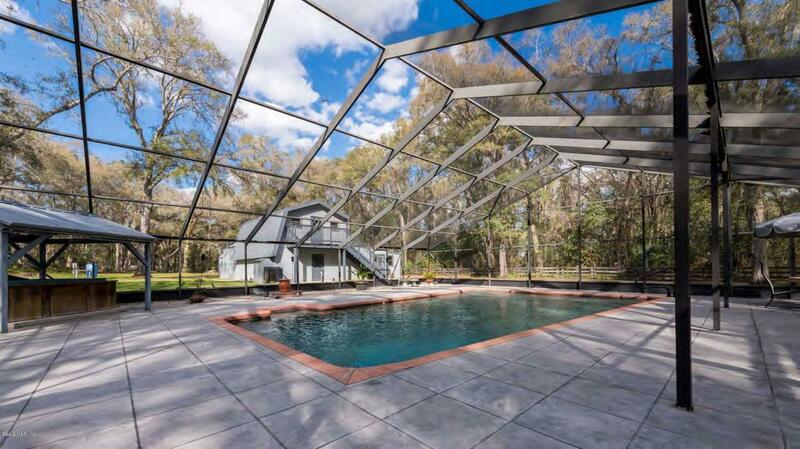 Propane tank, pool heater, 2 wells, desirable schools, close to town yet in a quiet and peaceful area on the south side of Ocala. 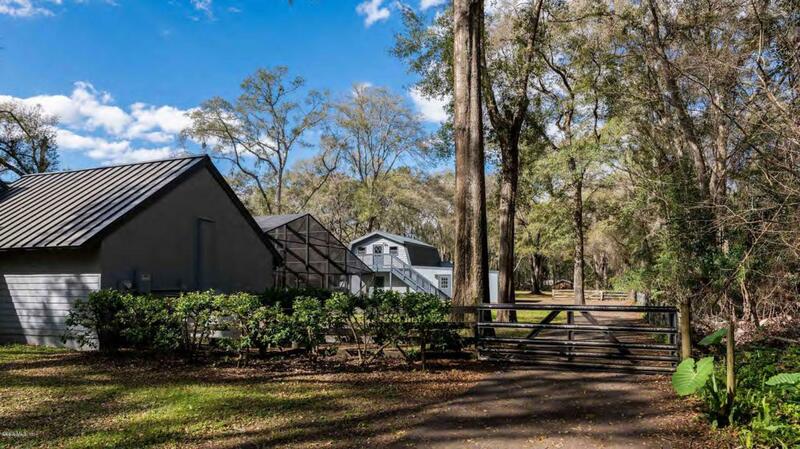 Bring your family, animals, toys and friends and enjoy country living at its best. Many Extras. 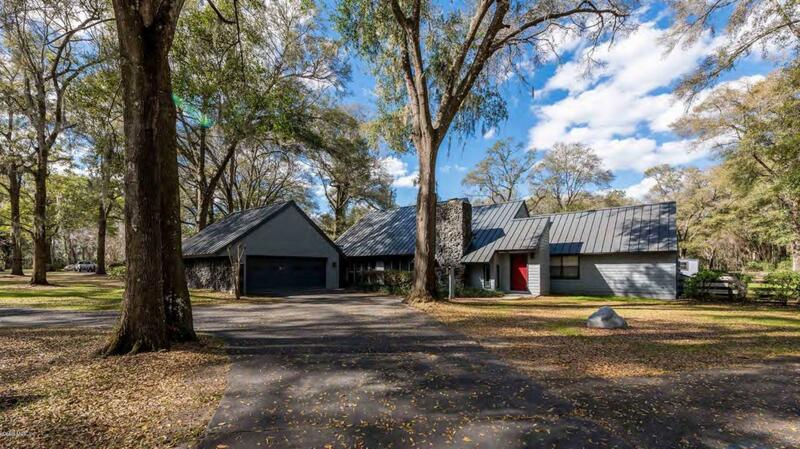 Listing provided courtesy of Charles Albiol of Albiol & Associates.